Should Sweden be added as a playable faction in the game? Yes, the faction is unique and I wish to see it before any other, after France and Britain. Yes, the faction should be added in, but only after Prussia, Austria and Russia are added in. No, there are other more interesting factions during the time period. Interestingly enough, I have found a lot of comments on other topics from people that wish Sweden to be added in as a playable faction in the upcoming title of Holdfast: Nations at War. Seemingly, I am also a big fan of the idea, due to Sweden's presence in the time period. Maybe not as big of a presence as other countries, but they also had their fair share. Sweden would be interesting, because they have never been seen before in Napoleonic Wars, although there was a solid amount of skin replacements for them. So here I bring forward my suggestion for units. Sadly pictures are scarce for the units I have in mind, but most ofthem are compiled in the NTW3 mod for Napoleon Total War, so I will show them from there. The regiment was raised in Finland, in a predominantly Swedish speaking area and the regiment spoke Swedish. It was one of the more famous regiments during the time. It used a typical Swedish Infantry uniform. explaining their origins. One of the fancier Swedish regiments during the Napoleonic Era. A famous Finnish regiment that took active part in Sweden's wars at the time. Note: I am taking ideas for others to maybe add here, so feel free to leave suggestions. 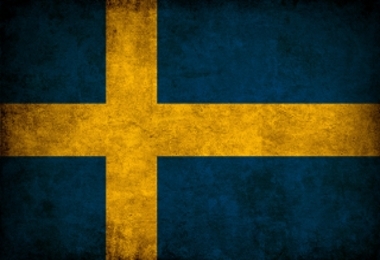 I would really love to see Sweden. She's in my top 5 favourite countries, and you are right, she's really underrepresented in NW games. But I think we should get the big players first, like mother Russia, Prussia and Austria. Once that is done, I'll sure as hell support Sweden! perhaps you should have one main thread, instead of creating a new topic for each faction? that is if you are going to carry on with these faction suggestion posts. Great Idea! there is pleanty of pictures depicted in a book i have about swedish military uniforms, sadly they are very scarce to find online..
Med Guds hjälp vilja vi strida! Having Sweden in the game would be pretty neat, I would love to see it happen. Being a Swede my response will probably sound biased but I'm all for this suggestion. Sure Sweden is more known for their wars between 1611-1721 but Sweden did do quite alot during the Napoleonic Wars. To name a few Sweden fought a defensive war against the Russian Empire during the Finnish War, and they sided with Britain against Napoleon allowing British troops to garrison in Swedish Pomerania in Germany. In Pomerania Sweden engaged in the First War Against Napoleon resulting in French occupation of the region. However the territory was returned to Sweden. When France tried to march into Pomerania a second time the Swedish Army mobilized and assisted in the fight against Napoleon in the Battle of Leipzig together with Austrian, Prussian and Russian troops. Sweden also attacked Denmark-Norway leading to one of the shortest war in Swedish history where Sweden took Norway and went into a personal union with them. These events are kown as the Franco-Swedish War. This was only to name a few events Sweden enagaged in but there are alot more. And this was truly the era of the last warrior kings in Sweden like Charles XIII, Gustav VI Adolf and Karl XIV Johan. Now for some suggestions to the thread. How about including some cavalry regiments like Livgardet till Häst (Royal Life Guards of Horse), Swedish artillery uniforms and perhaps the Swedish Navy? As a bump to this glorious thread, a detailed video of swedish uniforms from the era.